Camera Obscura & World of Illusions is the oldest purpose built visitor attraction in Edinburgh, delighting and intriguing people for over 150 years. An Aladdin’s cave filled with illusions, tricks, puzzles, hands-on experiences, unbelievable effects and the best rooftop views of the city. 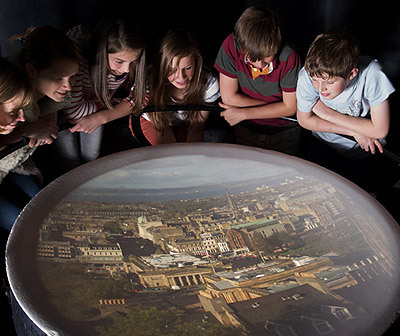 Discover why Camera Obscura is well known as one of the top attractions in Edinburgh. The star attraction is the Camera Obscura itself, a Victorian invention and the world’s first CCTV! When you visit you will be allocated a show time, don’t miss this fascinating and highly amusing way to see the city and learn about its history. 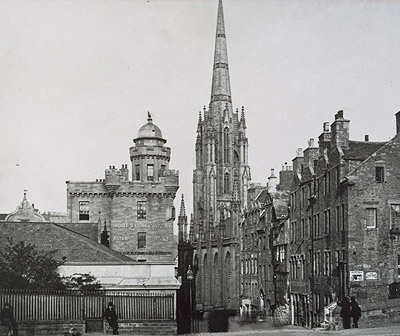 Discover more below about the intriguing history behind the cameras invention and the woman who wowed Edinburgh’s resident’s way back in 1835. 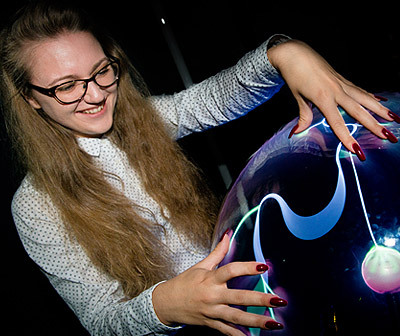 Find out about how it works; how does this live projection of the city appear before our eyes? Love what you see and enjoyed your visit; why not consider working for us? A magical experience? Definitely. But the Camera Obscura is powered by nothing but daylight. Are you fascinated by illusion? We’re always on the lookout for talented people to join our team.